How do storytellers find the deeper meaning in stories? When discussing Joseph Campbell’s insights about stories worldwide, writers encounter dual layers of meaning. First, we see story itself. When we step back and look at stories from around the world, and over the span of thousands of years, what patterns emerge? These patterns are certainly helpful in the construction of a solid, meaningful story. 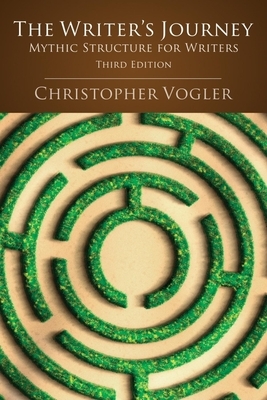 In Vogler’s book, writers will find deep insight to help them consider character development, plot, and much more. Second, on a personal level, writers will also encounter themselves. When considering what makes a story meaningful, it’s only natural to add a second question. What makes this story meaningful to me? The journey of finding those points of connection with our artist’s heart often leads us to face challenges. They may be irritations, threshold guardians, or true foes, the enemies we find in the dark of our inmost cave. I particularly like The Writer’s Journey as a lens for looking at my writerly development because Vogler applies Campbell’s rich constructs directly to the writing process and the writerly life. This book is one to study and to savor. The updated and revised third edition provides new insights and observations from Vogler’s ongoing work on mythology’s influence on stories, movies, and man himself. The previous two editions of this book have sold over 180,000 units, making this book a classic for screenwriters, writers, and novelists. The links on this page are affiliate links. More details here.